China on Friday called on the United States and North Korea to hold their summit to achieve denuclearization on the Korean Peninsula, a day after U.S. President Donald Trump's abrupt cancellation of the meeting planned for next month. 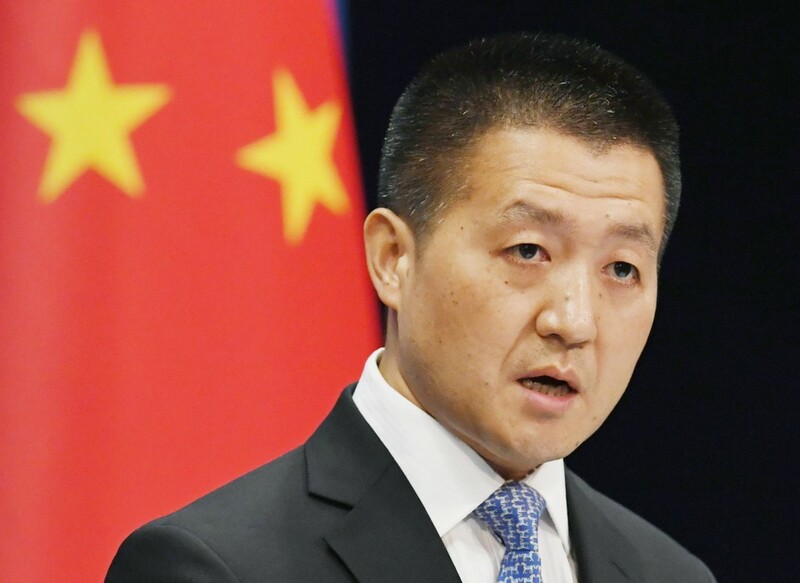 "We strongly hope that both sides will move in the same direction to promote denuclearization" through dialogue and consultation, Foreign Ministry spokesman Lu Kang said during a press briefing. "China has always played a positive and constructive role on the Korean Peninsula," he said, adding, "We will continue to encourage (the United States and North Korea) to hold direct talks." An influential tabloid affiliated with the Chinese Communist Party reported Friday that Trump's cancellation of the summit has dealt a "heavy blow" to progress on the peninsula. Trump's decision will impact the "alleviated situation" and "now difficult tasks will lie ahead for foreign affairs officials hoping to advance to the next stage," the Global Times said in an editorial in English. "It is imperative the United States and North Korea avoid escalating conflicts. Even if they are unable to achieve their desired results, they should at least work hard to prevent the worst situation from happening," the paper said. Trump announced Thursday that he had decided to call off the June 12 summit in Singapore on the grounds of recent hostile remarks by North Korea. North Korea responded on Friday by saying it is ready to always talk with the United States to solve issues, suggesting it wants Washington to reconsider its cancellation of the summit. Ties between China and North Korea have drastically improved recently. Kim traveled to Beijing in March to hold talks with Chinese President Xi Jinping, and earlier this month the two leaders met again for two days in the northeastern Chinese city of Dalian.